Newly-surfaced footage from January 2016 shows MSNBC host Chris Matthews joking about taking his "Bill Cosby pill" ahead of an interview with then-presidential candidate Hillary Clinton. 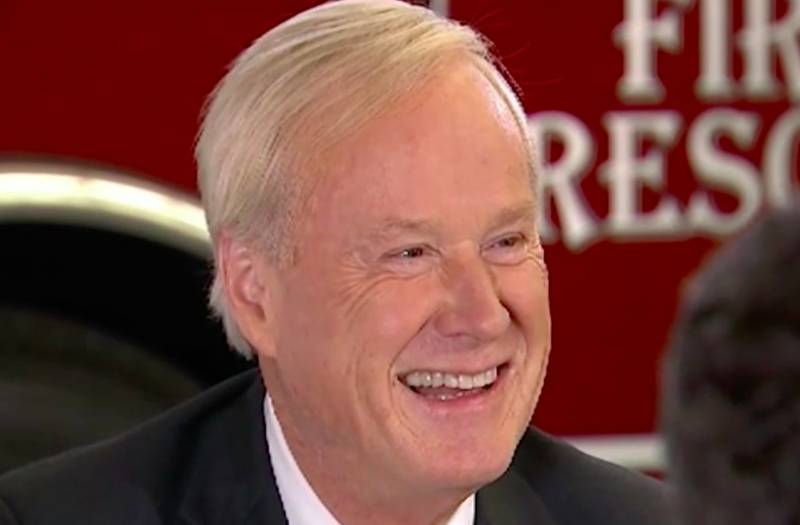 In the clip, which was obtained by The Cut and published on Friday, the "Hardball With Chris Matthews" host is seen on camera before interviewing Clinton in an Iowa fire station on January 5, 2016 during the Democratic primary season. "Can I have some of the queen's waters? Precious waters?" Matthews is shown asking a staffer. "Where's that Bill Cosby pill I brought with me?" At that point, the disgraced comedian had been accused of sexual abuse by dozens of women. The Cut reached out to Matthews for comment, where the 72-year-old news veteran proclaimed that he "deeply regret" the comment. "This was a terrible comment I made in poor taste during the height of the Bill Cosby headlines," he told the outlet. "I realize that's no excuse. I deeply regret it and I'm sorry." As The Cut notes, Matthews has a "long history of talking disparagingly" about Clinton, once calling her "witchy." Back in December, The Daily Caller reported that MSNBC had paid a woman who accused Matthews of sexual harassment back in 1999. Her complaint had been taken to CNBC executives at the time, and a MSNBC spokesperson confirmed the report, calling the payment "separation-related compensation." You can watch the exclusive footage on The Cut here.